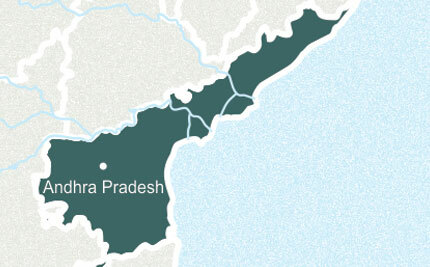 Located in the southern part of India, Andhra Pradesh is the eighth largest state of the India. This state has a distinct topography as on one side it has the longest eastern coastline on Bay of Bengal and the other side is fringed by Eastern Ghats. With a rich history and a home to various ancient religious sites, it houses the revered Tirumala Venkateswara Temple - with more than 18 million visitors every year, making it one of the most visited religious sites in the world. Medieval Andhra Pradesh was ruled by various Hindu dynasties, whereas Nizams controlled a major part of the state in the latter period. The influence of these two distinct cultures is reflected in everything right from the state’s cuisine to the architectural style of fortresses and other historical monuments. This state of India is also dotted with trails of Buddhism. 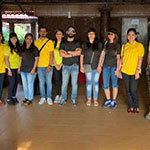 Andhra Pradesh has caught the attention of those bitten by the wanderlust bug for its ancient monuments such as Golconda Fort, Charminar, Falaknuma Palace, and Bhongir Fort. 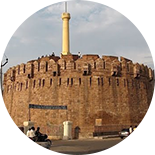 Hyderabad, the capital city, is one of the few cities in the world that has been able to strike a fine balance between rustic yesteryear charm and modern appeal. The city has numerous historical monuments and traditional markets that give it the feel of a traditional heritage city. That said, the city has been at the forefront of India’s IT revolution and is every bit as progressive as any modern city in the world. Varied Telugu cuisine has put Andhra on the global culinary map. From traditional meat preparations to vegetarian delicacies, Andhra cuisine has it all. Taking this further, there is the world famous Hyderabadi Biryani, the aroma of which alone can make even ardent health enthusiasts go into binge eating mode. 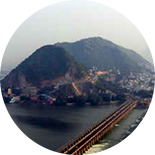 Andhra Pradesh is also a prime commercial hub owing to its port city Visakhapatnam or Vizag. 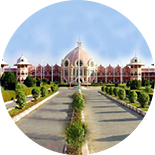 Visakhapatnam, Vijayawada, Kurnool, Tirupathi, Ongole, Puttaparthi and Hyderabad being the prime cities of Andhra Pradesh have consistently attracted tourists from all walks of life. Be it for a beach holiday or for wildlife and adventure sports this state has been offering ample. 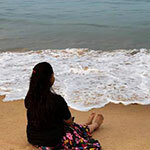 Visakhapatnam / Vizag and Srikakulam are popularly visited for its beaches, picturesque valleys and wildlife sanctuary whereas for its beaches, whereas Tirumala for temples. 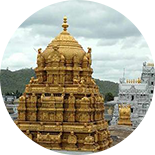 Tirumala in Andhra is on the global maps for its most visited religious shrine Tirupati. Apart from Tirupati, Vijayawada and Kunool are very popular for temples, bird sanctuaries, ancient rivers and bygone era remains. 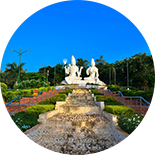 The modern day city Hyderabad, known as the IT capital of India, spells contrasting magic. This city of the Nizams holds a beautiful balance between the new-gen IT city and the remains of ancient forts & palaces, culture and heritage. One of the prominent attractions, the Golconda Fort at Hyderabad was first built by the Kakatiya dynasty for their western defences, which was later won over my many dynasties and lastly by the Mughals & Nizams. It was the house to the world known Kohinoor and Hope Diamonds. The fort and its ruins still stand strong as an archaeological treasured. The light and sound show here is very popular amongst tourists. Amongst other popular forts & palaces of Andhra Pradesh, the Adoni Fort, once the military base for the Vijayanagara Empire, is one of the largest forts with fortification wall extending more than 50 km. The rocks & ruins of this fort makes it a popular trekking spot for adventure sports enthusiasts. Other relics of the past, here in Andhra Pradesh, include the very famous Borra Caves. Located around 662 km from Hyderabad, Borra Caves are limestone caves that are estimated to be one million years old. The stalagmite and stalactite formations here, are very fascinating. This state has also paved a role in flourishing the Buddha Path, and Sankaram is a proof to it. This Buddhist site, 40 km South of Visakhapatnam, was unearthed by Britisher Alexander Rea in 1907. This a 2000 year old Buddhist Heritage site. Adventure lovers travelling across southern India should not leave Andhra Pradesh. It hosts some of the most looked for rocky terrains for trekking & rock climbing. One cannot miss trekking with an experienced guide on one of the various picturesque trekking trails at the Sri Venkateswara Wildlife Sanctuary. The adventure activities at Tyda Nature Camp such as rock climbing, trekking, bird watching, and target shooting is a hit amongst young enthusiast travellers. The Nature Camp here also teaches wild life enthusiasts the types and meaning of animal calls and techniques to identify marks. Other prominent trekking trails in Andhra Pradesh are Nagalapuram falls. This place is covered with thick vegetation and the trail is a mix of steep and easy climbs and has various water bodies. Nevertheless, if you are a water sports enthusiast, head to Ali Sagar Reservoir to try your hand at various water sports activities such as rafting, sailing, skiing, river crossing, and pool kayaking. The state offers galore to nature lovers. It is blessed with a variety of flora and fauna owing to the presence of two prominent river systems, Krishna and Godavari and the state’s distinct topography, with Bay of Bengal on the coast and Eastern Ghats on the sides, supports varied ecosystems. The forests here are categorised into four major biotic provinces that are home to different types of plants, many of which, have been identified as endangered, rare, and threatened plants. These are home to various species of teak and bamboo. Wild life includes Tigers, Panthers, Wolves, Wild dogs, Hyenas, Sloth Bears, Gaurs, Black Bucks, and Chinkaras and the long coastline is a nesting zone for sea turtles and the ones dependent on water bodies such as flamingos and grey pelicans. Travellers looking forward for a religious experience of southern India should include Andhra Pradesh in their bucket list. 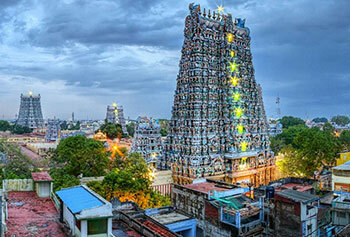 Tirupati Balaji Temple is mapped globally for some of the most visited Hindu Temples. Located in Tirumala, the Venkateswara Temple or Tirupati Temple is the world’s most visited Hindu temple. The temple is dedicated to Lord Venkateswara. Kanaka Durga is a major pilgrimage site, on the banks of Krishna River, for Hindus. The temple is said to be self-manifested. According to sacred Hindu texts, Kanaka Durga is the goddess of power and the presiding deity of Vijayawada. Lepakshi Temple at Anantapur district, is very famous for its architectural beauty. 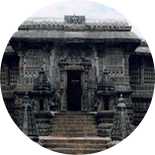 The temple complex houses a granite monolithic of Lord Shiva’s gatekeeper and vehicle, Nandi. Other temples like the Mallikarjuna Swamy Temple - one of the 12 Jyotirlingas, Paritala Anjaneya Temple – dedicated to Monkey God Hanuman has a 135 feet tall statue of the deity and Srikalahasteeswara Temple of Lord Shiva and is also known as Dakshina Kasi, which is carved out of the side of a stone hill is a very famous tourist point. The state’s varied culture is manifested through its colourful fairs and festivals. Some of the major celebrations in the state include Tirupati Festival, Deccan Festival, Lumbini Festival, Maha Shivaratri, Pongal, Ugadi Festival and more. Culture and cuisine go hand in hand and Andhra Pradesh is known for its spicy, lip smacking delicacies that leave eaters teary eyed, yet asking for extra helpings. The recipes of the cuisines is a well-kept secret passed on to generations. When in Andhra Pradesh, do remember to try local delicacies such as Pulihora, Andhra Chicken Biryani, Chepa Pulusu, Medu Vada, and Uppindi. Where there is food for tourists, it is generally followed by shopping. So when in Andhra, don’t miss shopping for wood carvings handicrafts, kalamkari artefacts, religious books etc. If you are looking for handloom products or intricately crafted toys, Vijayawada is the place to be. Warangal is known for its bras items, carpets, and scroll paintings. Not to forget, Hyderabad city is all about pearl, mirror and rhinestone studded jewellery. English & Hindi being common languages here, it is easy to communicate with urban people at Andhra Pradesh. As Telegu is the official language, so definitely take a guide along with you when travelling off roads. Also, to mention, this state of India is well connected via all major airports and rail-heads. We look forward to assist you explore this incredible land of Andhra Pradesh, and thus design custom-made itineraries for your holidays at best prices. Our teams ensure that our guests go back with fond memories of a relaxed holiday.